As was mentioned in the previous chapter, the heart receives efferent innervation from both the sympathetic and parasympathetic nervous systems. Sympathetic cardiac efferents release norepinephrine, which acts via various ^-adrenergic receptors to increase heart rate and contractility. Parasympathetic cardiac efferents release acetylcholine, which stimulates muscarinic receptors and reduces heart rate and, to a lesser extent, myocardial contractility. Both arteriolar and venous smooth muscles are innervated by sympathetic efferent fibers that release norepinephrine, which acts via «-adrenergic receptors to produce smooth muscle contraction. 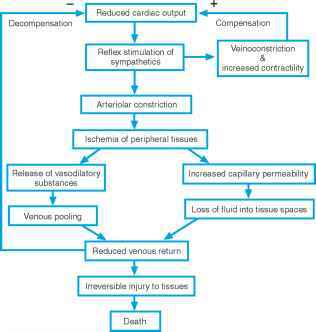 Sympathetic stimulation of arteriolar smooth muscle increases resistance to blood flow, whereas activation of sympathetic constrictor fibers to venous smooth muscle decreases unstressed volume and promotes venous return to the heart. Although some vascular beds, like sweat glands and some skeletal muscles, are innervated via sympathetic dilator fibers, they do not participate in blood pressure control. All autonomic efferent (postganglionic) neurons arise from peripheral ganglia, where they receive synaptic input from preganglionic neurons of central origin. In the sympathetic nervous system, the peripheral ganglia are in the sympathetic chain, whereas parasympathetic ganglia are near or in the organ they innervate (Chapter 9). The soma of parasympathetic preganglionic neurons are located in the vagal nuclei, whereas the soma of sympathetic preganglionic neurons are located in the intermediolateral column of the spinal cord. Both sympathetic and parasympathetic preganglionic neurons innervating cardiovascular efferent neurons receive input from nerve tracts originating in the vasomotor center.